Book Club: 18 Minutes — What Is Your Day About? What do we need to do for 18 minutes of our day? That is what this week’s book club discussion is about. In Part One of 18 Minutes: Find Your Focus, Master Distraction, and Get the Right Things Done we learned the positive benefits of taking breaks. In Part Two we determined our five yearly focus areas. Part Three of 18 Minutes gives us a method for avoiding overwhelm and doing the work that really matters. It allows us to make our biggest impact without going down the horrible path of burnout. We can’t fit everything we want to do each day into the few available hours. This means we need to be deliberate about what we do. It also means if we are not careful, we will become overwhelmed and take our frustrations out on others. 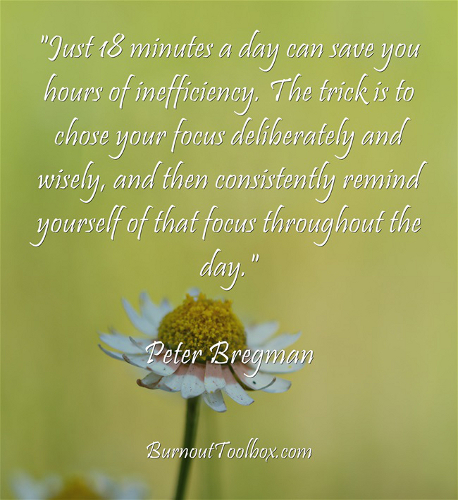 Peter Bregman asks that we make a list of the tasks which will move us forward on our five yearly focus areas (determined in Part Two of the book) as well as for “the other 5%.” Then create an ignore list that can be a reminder of those things to steer away from to allow proper focus and less distraction. 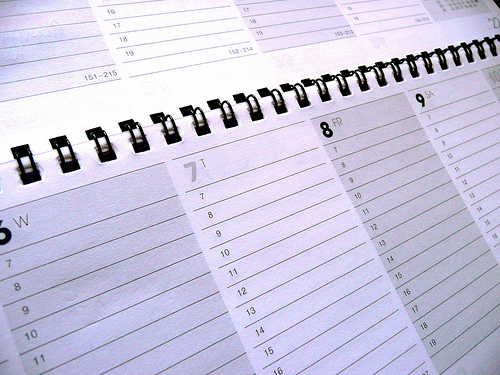 For 5 minutes, plan how you are going to spend the day using your to do list and calendar. For 1 minute every hour, evaluate your productivity over the past hour and decide how you are going to perform for the next hour. For 5 minutes at the end of the day, review the day, consider any lessons you can learn from, and make any personal contacts that were missed through the day. I have never written an ignore list. Each time I read about doing one in the past, it didn’t seem like it would be that helpful or I was at a loss on what to put on the list to get it started. However, Peter Bregman states that the ignore list is just as important as our choices on where to focus. I am going to get my ignore list started this week. I look forward to finding out the impact it has on my ability to get the right things done. Now it’s your turn. 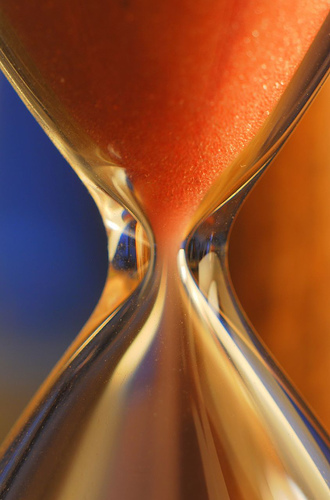 Read Part Three of 18 Minutes: Find Your Focus, Master Distraction, and Get the Right Things Done . We will be discussing Part Four next week. The topic will be about protecting ourselves from distraction at every momment. Enjoy your reading! I look forward to hearing from you. Book Club: 18 Minutes — What Is Your Year About? "Great work is not ordinarily done in busyness."